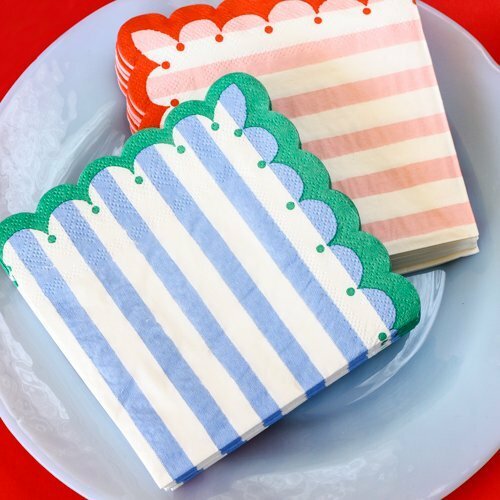 These stylishly scalloped and striped napkins are the perfect addition to any celebration. Measuring 5 inches in diameter, these sweet napkins are patterned with pink or blue stripes depending on your color choice, with a decorative scallop edge. They are colorful and informal and will bring life to any party.